Wireless headphones have long been a domain of the drivers. Currently, many people use them for hands-free chats, listening to music and podcasts during everyday activities. How many times you held your phone with your shoulder in different situations – when shopping or driving, because we had our hands occupied, just to drop it on the ground? Wireless headphones are a very useful device that allow to talk safely without having to stop and hold the phone in hand. The choice of headphones on the market is very large, but they differ in a few important details. These details make one solution perfect and the other completely useless. Let’s see what different types of phone headsets are there and how they differ from each other, what do their particular parameters mean and how to choose the model which will meet our expectations. What criteria should we pay attention to when choosing the right headset? I have testes some available headsets. Go ahead and read about my observations. Basically, there are 3 main solutions. This is the solution used by Plantronics (eg in Plantronics – Voyager 5220 Bluetooth Headset) and with some Jabra models. This is a fairly practical solution for the user, and its main advantage is that you can switch the handset on / off quickly. It works well when you do not want to wear headset in your ear all the time, and you prefer to keep it in your pocket. This way you don’t have to fear that its battery dies or that it will accidentally call somebody from your pocket. Turning the device on by holding the main button pressed is a solution used by many manufacturers, including Nokia and Samsung. If the headset is turned off and someone calls, the need to hold the button pressed for about five seconds means that you may miss the call. On the other hand, wearing a headset turned on all the time means that it quickly discharges. If you carry it in your pocket, it can be accidentally activated and call somebody. For this reason, it is not the best solution for people who do not feel like wearing the device in their ear all the time. This solution was first used by Apple in AirPods. Theoretically, this is the best idea, because it does not require a switch at all. However, many people complain that in practice the headphones do not always detect the moment they are put in the ear. The result is that when the phone rings, you cannot be 100% sure that you can remove the earbud from the case, put it in your ear and answer the call. It may happen that the phone “graciously” notices the device half a minute later, when the caller has already disconnected. 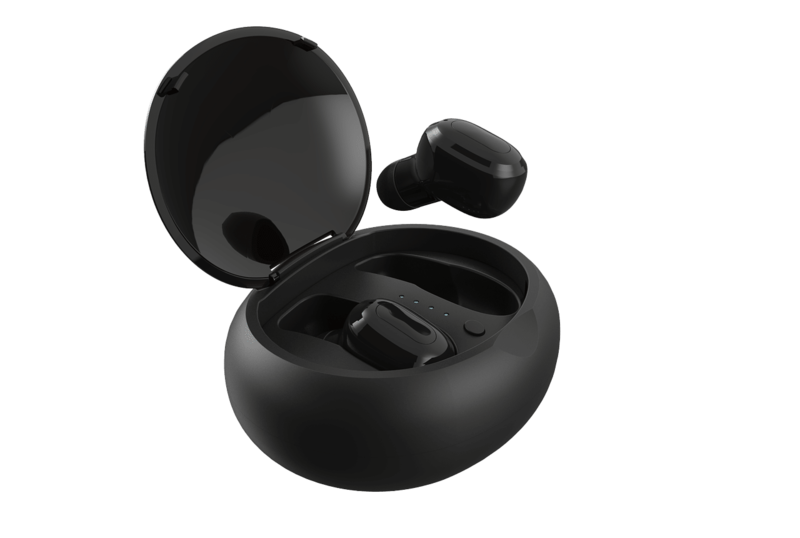 That’s why this great idea probably needs some refinement, and I think that Apple developers will improve AirPods with time. In the case of most branded sets, there is practically no problem with pairing which happens very quickly. However, there are headsets that need a few or more seconds to be paired with the phone, which may result in some missed calls. As I wrote earlier, the AirPods from Apple are an infamous example here – they have special sensors that detect if the earbud is in the ear. The problem arises when the sensor doesn’t work due to, for example, the shape of the ear, and will connect us after some time. Most headphone manufacturers offer devices that guarantee clear sound, both during conversation and while listening to music. 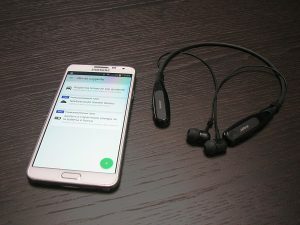 However, some manufacturers use different techniques for this purpose, the aim of which is to completely block any ambient sounds from leaking in. Manufacturers of headphones use eartips that block the wind noise and practically cut off the sound from the outside. The most expensive models are also equipped with microphones, based on technology that reduces ambient noise. If you have never dealt with this technology, I recommend that you visit the store and check it out in practice. The effect is really amazing! However, remember that these solutions are good for those users working inside buildings with high noise levels, but they can be extremely dangerous when driving a car or running outdoors. Because they isolate so well from any external sounds, we might not hear an oncoming vehicle, a car horn, an ambulance, etc. All in all, although seemingly good, I can recommend this solution only in very specific situations. Slim, light and compact design. They mostly fit securely in your ears. At the same time, they largely cut off the ambient sounds from outside, with all the disadvantages and advantages that I described earlier. They are at the same time minimalist and elegant, recommended especially to athletes. Some have additional wires that provide flexibility and wings that improve stability (for example: BeatsX headphones). The silicone eartip with clip-on function ensures a perfect fit. Safe and convenient to use even during intense exercise. Thanks to their resistance to sweat, they protect against natural consequences of physical activity. Comfortable solution, fits securely, doesn’t fall out and – at the same time – it does not completely block the sounds of the environment. 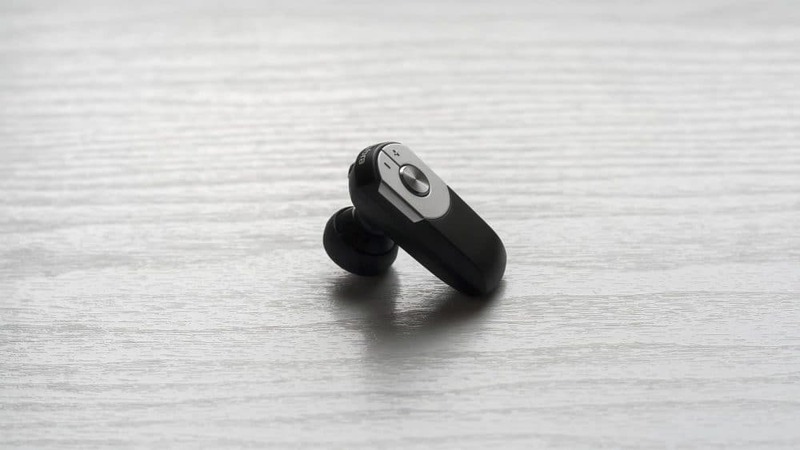 Of course, with this solution the quality of the speaker’s voice and the sound of the music are very good due to the close fit to the ear, but the need to put a hook behind the ear can also be problematic sometimes. In some models it requires the use of two hands, so it is not practical for drivers. 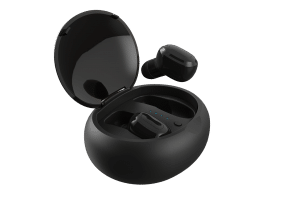 There are quite a lot of models to choose from – I’ll just give you Bluetooth headset Plantronics Explorer 50 as an example. When it comes to the possibility of listening to stereo music, single earphone headsets obviously do not provide it, only the headphones for both ears will work. Of course the cheaper models with wires are less practical than truly-wireless. Moisture resistance is an important feature both for sport and every-day use. After all we want the comfort and clear sound in all the conditions, without the fear of damaging the equipment in the rain or during an intense work out. It looks like there are currently no perfect headsets on the market. The described features are to some extent excluding each other, so the final choice depends on the user’s personal preferences. In addition, some of the headphones fit securely in some users’ ears, but get loose in others. If, however, I were to point out the best sets, I would go for the two that I use myself. They vary depending on the usage. I always carry one of the Plantronics headphones with me. They are lightweight earphones that do not fall out and at the same time are small enough not to look strange. Due to the physical on/off switch you can carry them in your pocket without worrying about them being accidentally activated. When somebody calls me, I do not take the phone out of my pocket at all. Instead, I just put the headset into my ear, turn it on, it pairs up with the phone and I can talk. Disabling and storing it is just as easy.In addition, these headphones are relatively cheap, so losing such a handset is not a disaster. And to be honest I’ve lost about five of them in different situations during the last few years. Apple AirPods is the clear winner here. They are not suitable for everyday use due to the mentioned connection problems – before they detect the fact of inserting into the ear and connect the call, the caller may hang up. In addition, they cannot be removed from the case with one hand, which is an obvious design mistake made by Apple. What if we want to use the headphones just when, for example, we carry a heavy bag and we have only one hand free? However, when it comes to long listening to podcasts or music while running they are my number one choice. They are very light, so you don’t feel them in the ear, they fit closely and don’t fall out. The lack of wires is a very important characteristic, and not only for aesthetics. The wires in other headphones always gets tangled up producing unpleasant noise in my ears. It is easy to pull the wire when I exercise, even with my own clothes, making the whole earpiece fall out. This doesn’t happen with AirPods. Therefore, for running and for the gym, or for prolong audiobook/podcast listening, these headphones are currently the best solution – not only for iPhone owners, since they pair up with Android as well.